The layout is very “playable” for all level of golfers. It has 4 teeing areas so provides an enjoyable round for beginners or elderly golfers yet when played off the back tees provides a challenge for those looking to test their skills. In April 2014, Stage Two of course renovations of several new holes was completed and the result has been a huge success. The works took place in accordance with the Wollongong Golf Course Master Plan, created by noted course designer Ross Watson. The key features of the work were the extension of the opening par-five where a new undulating green has been created at an elevated site beyond and to the left of the original location. The uphill par-four 7th has had the existing green complex set atop a dune redesigned with new bunkering added; and the adjacent short par-three 17th – one of the most iconic holes on the layout– has a new green, re-shaped bunkers and new chipping areas introduced while retaining the same exciting shot values from the tee perched high above. Finally, teeing areas at the par-five 18th have been extended and new fairway bunkers added, immediately transforming the hole into a more strategic and challenging proposition. The finishing touches to the project include the replacement of non-indigenous plants and flora with species local to the area, in accordance with the club’s Vegetation Management Plan. Wollongong Golf Club is situated on a magnificent stretch of pristine coastline. Its close proximity to the city and the beach, the fantastic views along the coast and the stunning mountain backdrop, make it one of the most unique golfing experiences in NSW. Wollongong Golf Club is one of Australia’s oldest clubs and has hosted the likes of major champions Gene Sarazen, Gary Player, Bobby Locke and Steve Elkington since the club’s inception in 1897. More recently, it was host to the NSW PGA Championship 2009 – 2011. 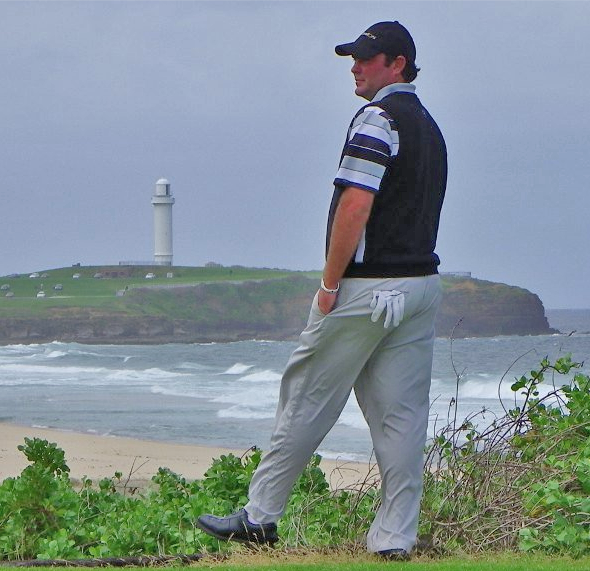 • Australian golfer, and current PGA tour player, Steven Bowditch won the NSW PGA at Wollongong Golf Club in 2010. Wollongong Golf Club is widely renown for the quality of it’s greens being the “best on the coast”. The quality and condition of the greens provide a true and quick surface.